Last week the internet learned that “Anyone Can Quantum,” when actor Paul Rudd faced off against Stephen Hawking in a game of quantum chess. The 12-minute video has racked up more than 1.5 million views, with Fast Company declaring it one of the best ads of the week. And soon we’ll all be mastering the rules of the subatomic realm, with today’s launch of a Kickstarter campaign to create a commercial version of quantum chess. Rudd and Hawking are playing the prototype version of the game in the video. It’s the brainchild of Chris Cantwell, a graduate student in quantum computing at the University of Southern California, who got the idea while working on a project for a class on creativity and invention. “My initial goal was to create a version of quantum chess that was truly quantum in nature, so you get to play with the phenomenon,” Cantwell told Gizmodo. “I didn’t want it to just be a game that taught people quantum mechanics.” The act of playing gradually lets the player develop an intuitive sense of how the quantum realm works, however. In fact, “I feel like I’ve come to more intuitively understand quantum phenomena myself, just by making the game,” he said. 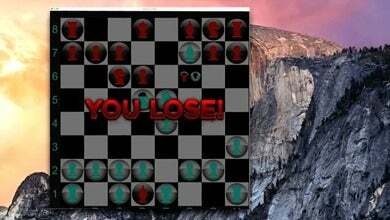 While he’s designed the game so the pieces must move in a quantum way, Cantwell has found that in practice games, most of the moves are just standard chess moves. The quantum aspects are best used sparingly when the game is on the line — such as when Rudd foils Hawking’s first checkmate with a ploy called “Schrödinger’s King”. There’s an element of random chance, after all — inevitable in any quantum system — although Cantwell said that it’s possible for advanced players to use interference effects to shift the odds in their favour. Cantwell’s initial goal is to raise $30,000. That will be sufficient to develop a basic commercial version of the prototype for PC and Mac platforms. It will have a rudimentary built-in AI to help newbies learn the mechanics of the game before graduating to playing real opponents. He hopes to eventually expand the AI element, as well as adding better networking and a ranking system. And one day, funds permitting, there will be a mobile version too.